The restaurant is housed in the famed Negresco Hotel. The entrance is from within the hotel just off the lobby. 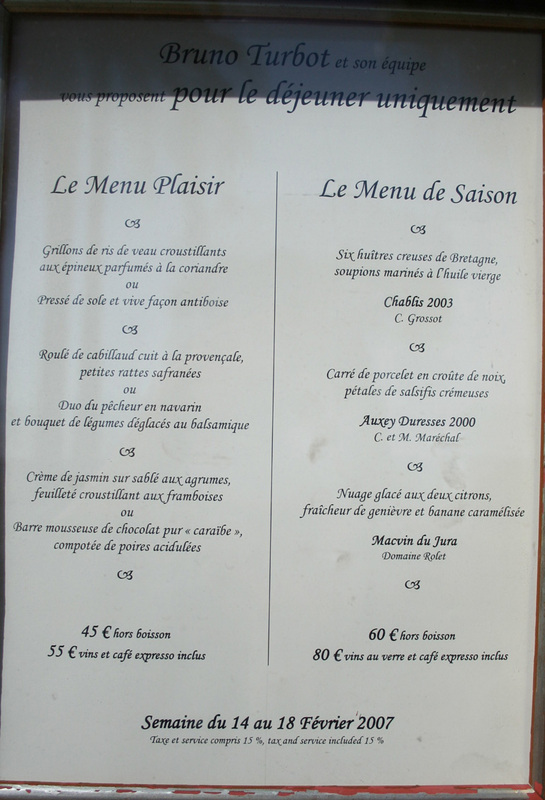 Chantecler offers an excellent lunch menu which is one of the best deals in Nice. We suggest you take the menu with wine. At only an extra 10 euros it is a steal. NOTE: The Restaurant Chantecler is currently NOT offering lunch. Only dinner is being served. 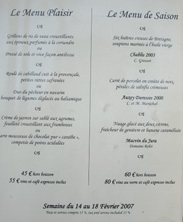 Two main menus are served for lunch. The Menu Plasir has has a choice between two appetizers, two main dishes and two desserts. For an additional 10 euros excellent local wines can be paired to the entree and main dishes. The Seasonal menu consists of three dishes each paired with wine. The new chef at Chantecler is Jean-Denis Rieubland, 34 years old. He succeeds Bruno Turbot as head chef. 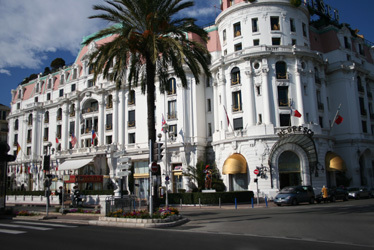 Rieubland is a former pupil of the hotel college of Nice. He will be seconded by Thierry Michelet from the Hotel Ritz in Paris. After graduation at the Lycée Hôtelier de Nice, his path led him to the prestigious «Eden Roc », « Le Byblos des Neiges », « Carlton* », « La Tour d'Argent*** » in Paris, « La Villa Florentine*» in Lyon, « Lapérouse » in Paris and then « Le Mas Candille *» in Mougins. Rieubland has achieved numerous distinctions including the Disciple d'Escoffier, winner of the Auguste Escoffier Trophy Normandy 2005 and more recently the coveted award as "Best craftsman of France 2007" (Meilleur Ouvrier de France). Jean Denis Rieubland describes his cuisine as "Inspired by the products & traditions of Provence. "